Your teen prefers to sleep until noon. She is crabby when she wakes up, would rather talk to the dog than you. She isolates herself in her room for hours at a time. Does she have depression? Or is this normal teenager behavior? It’s perfectly normal for teens to be moody, irritable, overly sensitive, and withdrawn. After all, this is a developmental period where both their mind and body are growing rapidly and the changes are physically and mentally taxing. But, as a parent witnessing your teenager’s mood swings, it’s common to worry that they may have depression. Below are some tips to help you determine whether your teenager’s mood and behaviors are normal or if your teen may need professional help. 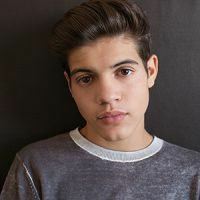 Popular perception is that the teen years are fraught with continual angst and unhappiness—and this can certainly be true for many teenagers. But, teens who are not clinically depressed are able to rise above moments of feeling down. They are able to bounce back after a day or so with friends, activities, or perhaps even school. The funk passes. What Does Teenage Depression Look Like? Depression in the teen years typically starts to show up around age 13 and then peaks between the ages of 16 and the early 20s. Identifying depression in young people can be difficult because there is a wide array of symptoms, which can be different from what we see in adults. The signs parents need to look out for generally involve sudden and persistent changes in mood or behavior, or even physical changes. My teens would choose to sleep until noon on the weekends if allowed. But if you notice that your child is in bed all day, has irregular sleep patterns you haven’t noticed before, or is taking an unusual number of naps, this could signal depression. Some teens use drugs or alcohol helps to ease the symptoms of depression. Unfortunately, it often has the opposite effect and often makes their depression worse. Not all teens who use alcohol or drugs are depressed, but many are and you should consider this a warning sign. Many teenagers act out—they talk back and are defiant and obnoxious. Parents need to be aware, though, that some teens act out as a way to release anxious and depressed feelings. The acting out actually makes them feel better for a short time. It’s not only how often your teen acts out, it’s how she responds to you afterwards. For example, if your daughter has an emotional outburst with tears, yelling and name calling, but is able to regain her composure after you’ve corrected her, then she’s most likely exhibiting normal teenage behavior (even if she explodes again the following week). But, if she acts out in a threatening manner, cannot calm herself, or you find she continues to act in a hopeless, reckless manner, then she may need to be screened for depression. Some depressed teenagers will actually show physical symptoms. They may have recurring stomachaches, headaches, chronic pain, or problems going to the bathroom. Have a physician screen your child for depression if he has ongoing medical problems with no apparent physical explanation. All teens isolate themselves occasionally, especially from parents and siblings. But sudden social withdrawal from their friends and activities is concerning. For instance, if your son was in the habit of meeting friends at the skateboard park twice a week but now spends the day in his room, he may be depressed. Talk to your child. Ask him why he no longer goes to the skate park with his friends. If he can’t give a legitimate reason then it could be depression. As parents of three teenagers, my husband and I find our house is filled with annoying behavior on an almost daily basis. This includes yelling, irritability, anger, and, yes, mood swings. It is often overwhelming. If one child tends to stir the pot more than the others, that may cause you to feel even more concerned. Keep in mind, though, that as long as your child is able to bounce back most days, then their annoying behaviors are probably normal. If you suspect that your child is depressed, the good news is there are many resources available and depression is treatable. Start with your pediatrician or a mental health provider. If you want to find a mental health provider, a great place to begin your search is Psychology Today. Psychology Today is the leading site on which therapists list their services and you should be able to find many in your area.